Looks like Nokia C3 One Day Promo has been a smashing success! 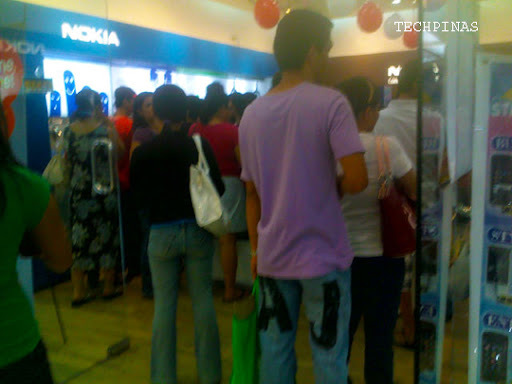 At 9 o'clock in the evening (or an hour before mall closing time), people were still lining up for Nokia C3 at Nokia Store, SM North EDSA. Photos courtesy of TP Friend, Elvin Mendoza. 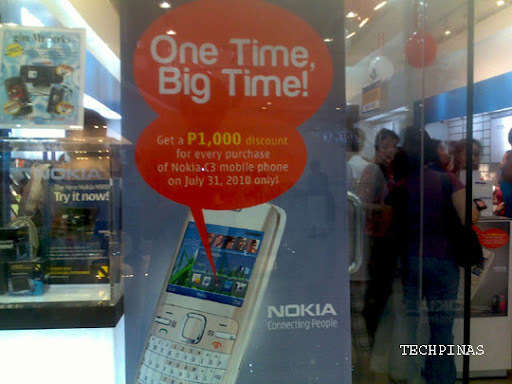 Did you purchase your Nokia C3 via today's Php 1,000 OFF promo? How do you find the phone? Have you activated any of the Nokia Messaging Services? Share your story with us. Please leave your comment below. Thanks! 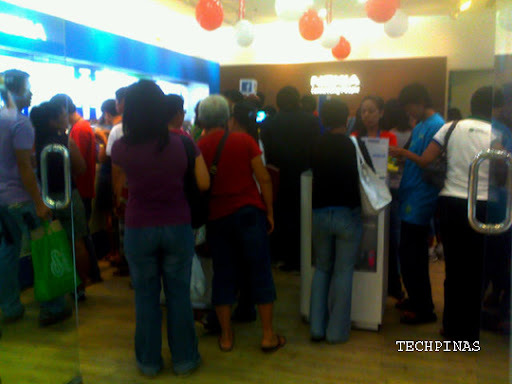 got my c3 at nokia store sm fairview they activated one of nokia's messeging service but they didn't gave me the free 2 gig micro SD card.. I just got my C3 last saturday and bought it in a least-known venue to go thru: Robinsons Pioneer! Since my office is at Cybergate, I was able to go to the store (the only one store in Rob Pioneer that offers the sale!) by 10am! I was the first one to buy the unit! I got the unit and it was so far so good. Although Smart only has the Nokia Messaging promo for prepaid (i'm a globe user! ), i was able to really use the whole Social Network capacity of the phone. And it looks like a BB! I hope things will go well with this phone! Does anybody know how to setup YM without restoring phone defaults and reinstalling the GPRS setting? I do not know how to get the "Select Your Services" Menu (as shown on the C3 screen above) Thanks in advance. I managed to get this phone lasy August 1. A day late for the promo launch. I got it still for Php 6,295 since i asked for a reservation weeks earlier. I dont have a free 2gig but hey i dont need 2 gig, 1 gig ridata sd card cost only Php350. 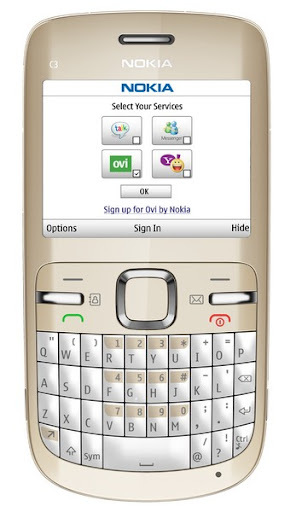 Nokia Messaging is superb! great phoneit looks like a balckberry! nice nice.. I will be posting in youtube a detailed review of the phone. wtach out for it. where did you bought ur c3? wer did u buy it? I love u Ana Marie G.Garbo a.k.a Sfazhiva! Where i can buy affordable samsung touching amd with 3g phone at SM North Edsa? I would like to buy? I hope Ana MaRIE garbo should be win at Ultimate Talentadong Pinoy in second edition everyone should be help me for her please! to all people.